The MAC Nutcracker Sweet collection is ADORABLE. It has a whimsical holiday feel without being too childish. Not only is the packaging on point but the pops of pinks, corals and oranges totally calls my name. This review is on one of two "eye bags". 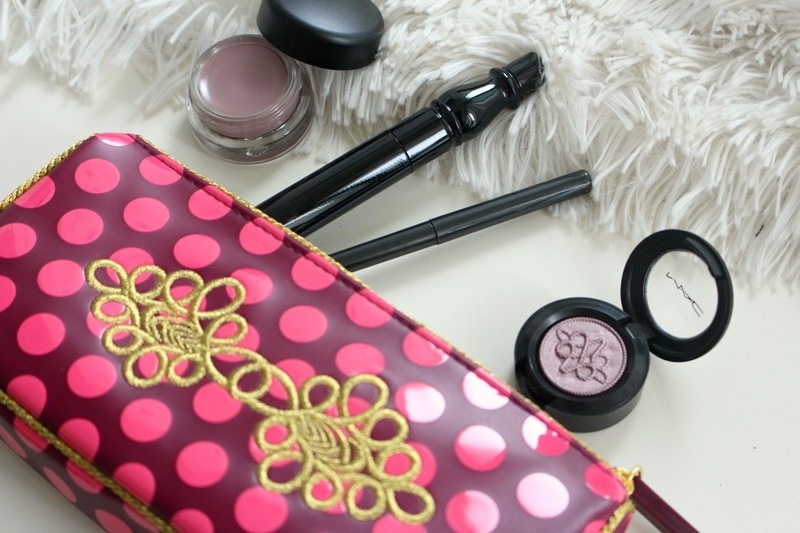 That sounds like under eye circles but in reality they are a kit of eye products in an adorable bag! 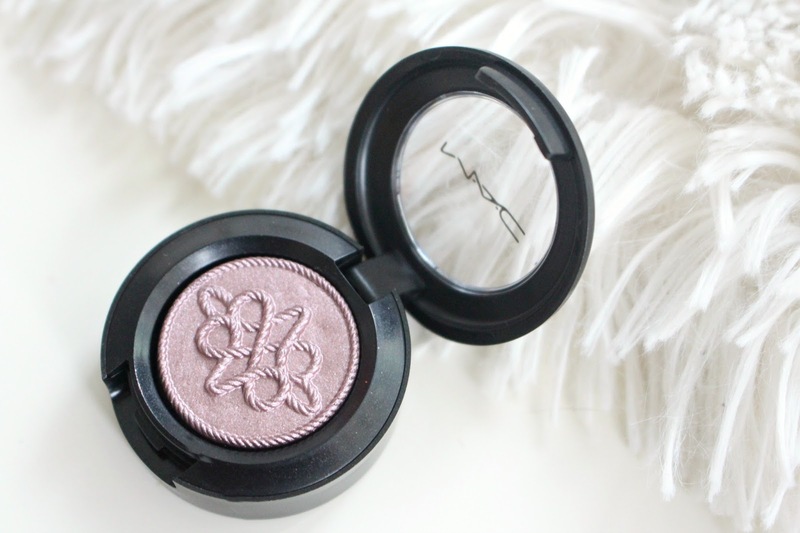 I have also reviewed the MAC Nutcracker Sweet Warm Eye Compact. 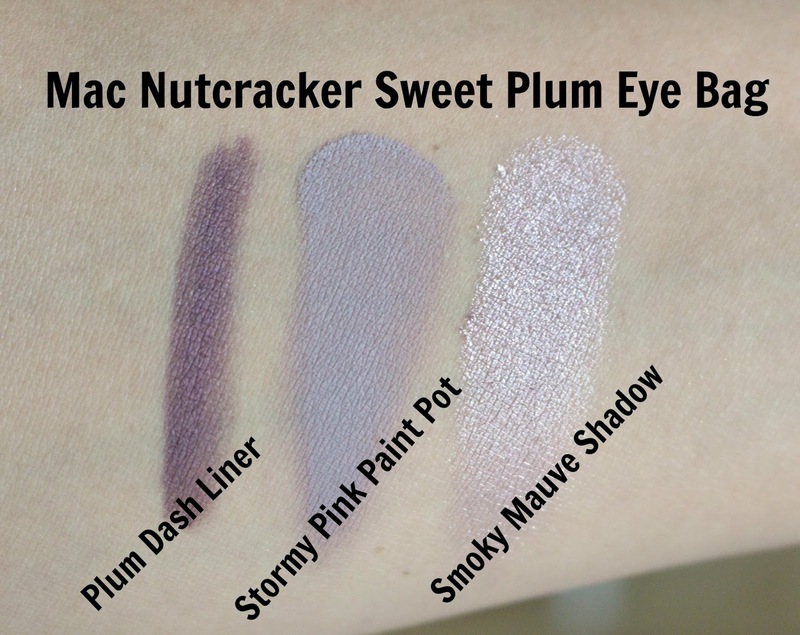 I received the #MACNutcracker Sweet Plum Eye Bag ($51.00 CAD). This includes a makeup bag, Technakhol Liner, Pro Longwear Paint Pot and Extra Dimension Single Eyeshadow. If my math is correct the 4 products retail for $100 and that does not include the bag! If you had your eyes on any one of these products it is a great time to grab this kit and get a whole lot more for very little extra cash. 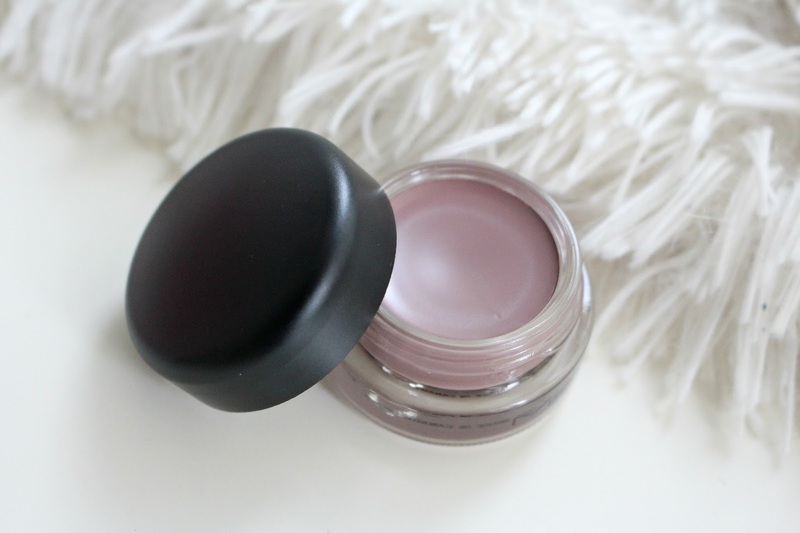 The item in the bag I was the most excited to try was the MAC Pro Longwear Paint Pot in Stormy Pink ($26.00 CAD). I'm not sure why the name, online they describe it s as "muted grey purple" I would have to agree! This is my first ever paint pot, as someone with oily eye lids I have always wanted to try, not sure why I hadn't. I am going to have to pick up a more neutral shade as this ensured my eyeshadow lasted all day. Very impressed. The colour is gorgeous too, very unique in comparison to the rest of my collection. 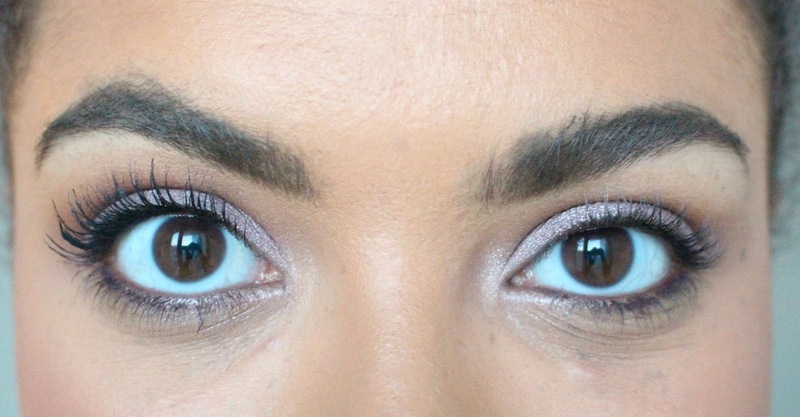 Up next is the ever so gorgeous Extra Dimension Eye Shadow ($26.00 CAD) in Smoky Mauve. This is described as a "pinkish muted mauve", again, I don't get the smoky part, feels more pastel to me..but still gorgeous! As expected, this is a stunningly smooth feeling shadow, with a great metallic finish and no glitter. It has a foiled look and I think it would be great used wet too. Personally, this isn't the kind of shade I generally reach for but I had fun playing with it and hope to pick up a golden shade. 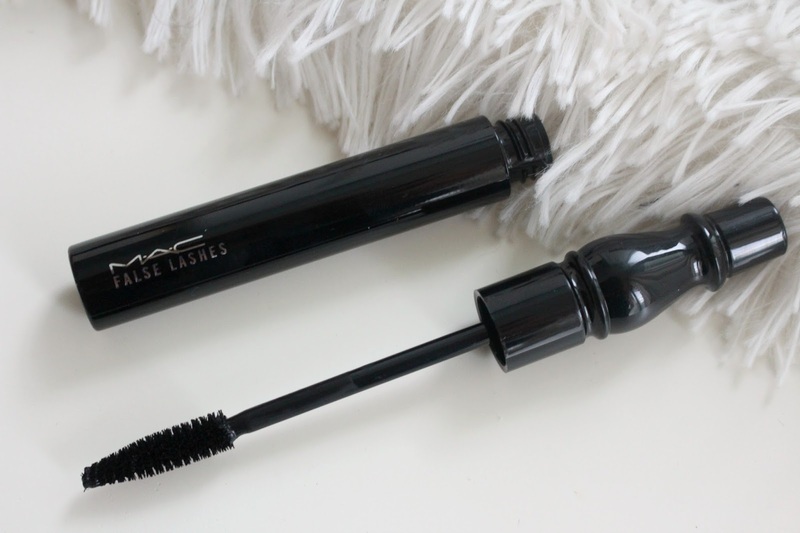 Another item from MAC I had never tried is their mascaras! I have so many staples from MAC but I am realizing now I didn't really stray far from that. I am super impressed with the MAC False Lashes Mascara ($28.00 CAD). As you can see in the before and after it adds the perfect amount of volume and length. You can also layer it up and it doesn't get clumpy. The only true plum in this collection is the MAC Technakohl Liner in Purple Dash ($20.00 CAD). It's described as an "intense aubergine". It is a slightly drier formula but I think that helps with it's lasting power. It's the kind of pencil I will use on my waterline and lower lash line, not really the kind of item I would use to create a wing. It may be nice to smudge out though, I haven't tried that. 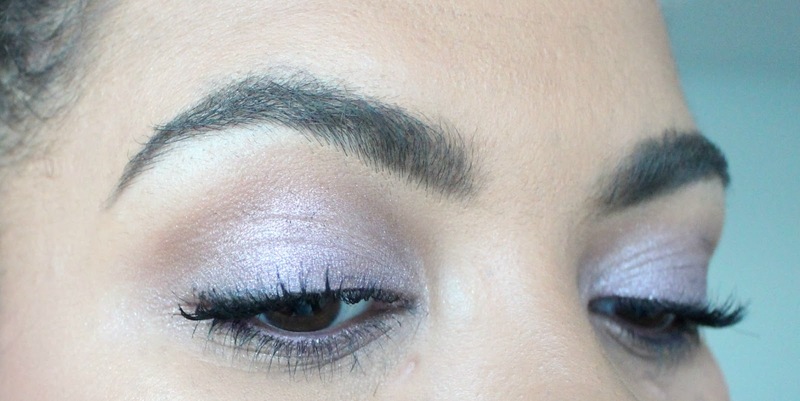 This look was totally different for me, I rarely reach for pastels, but I do love purple. I'm wearing Smashbox Always On Liquid Lipstick in Stepping out. 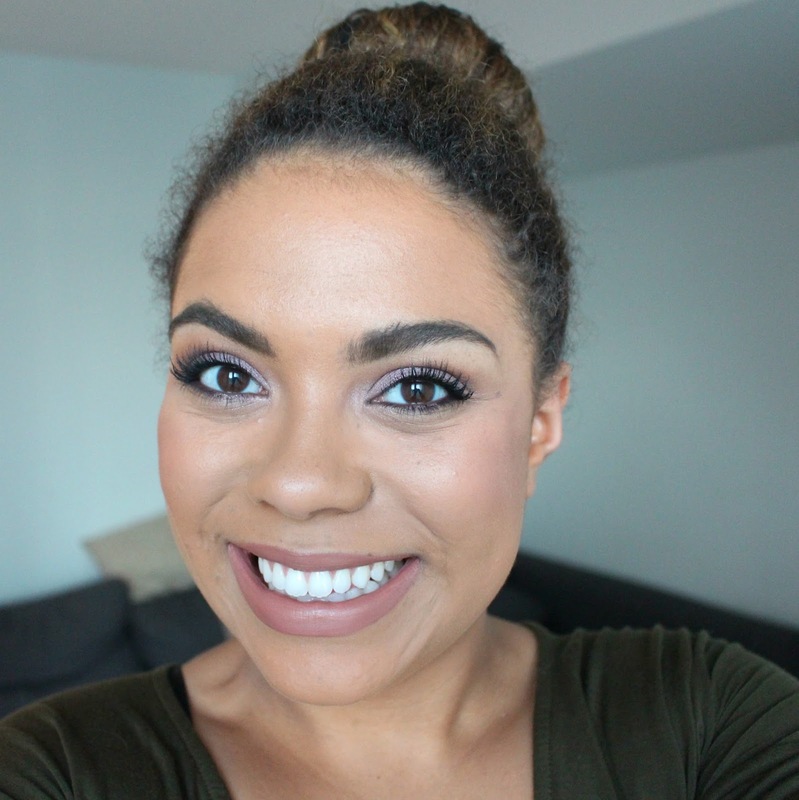 I used the MAC Pro Longwear Paint Pot in Stormy Pink as a base, Extra Dimension Eye Shadow in Smoky Mauve all over the lid with some bronzer in the crease. 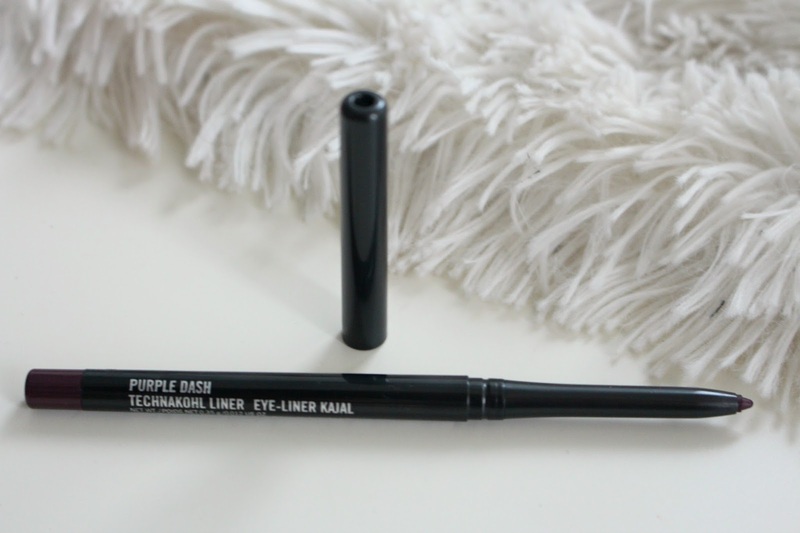 I put MAC TechnaKohl Liner in Purple Dash on my lower lash line and in my water line. I am also wearing the MAC False Lash Mascara.